• Queen Elizabeth II this week unveiled the final plaque marking the end of the 37 mile/60 kilometre Jubilee Greenway in front of Buckingham Palace. 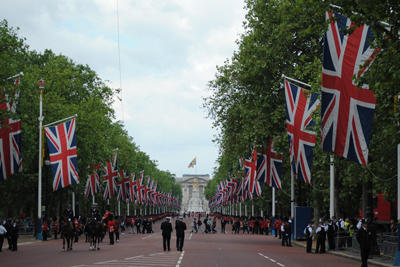 The circular Greenway – marked by 542 glass plaques – has been created to celebrate the Queen’s Diamond Jubilee. It can be walked or cycled and takes in key sites around London, including Kensington Palace, Regent’s Park, the Thames Barrier and Olympic sites including Greenwich Park (equestrian events), the O2 Arena (hosting gymnastics, trampoline and basketball events) as well as the main stadium at Olympic Park. The Greenway is divided into 10 sections and you can download either the entire walk or brochures for one of the sections only here. • This weekend sees the Barbican Centre play host to the event known as ‘Barbican Weekender’ – two days of free art, dance, music, theatre and film at the Barbican Foyers. Part of London 2012 Festival, the event’s ‘Freestage’ programme features Roxxxan,Dizralie and the Small Gods, young drummers from East London and performance poetry by the Barbican Young Poets. There’s also street dance classes with Boy Blue Entertainment, the chance to make an Opera in a Day with the Hip Hop Shakespeare Company, a Digital Graffiti wall, street food stalls, the Wah Nails Pop-Up boutique and free running by Streets United. For more, see www.barbican.org.uk/weekender. • On Now – Measuring the Universe: from the Transit of Venus to the edge of the cosmos. Marking the 2012 transit of Venus, this exhibition at the Greenwich Observatory follows the story of man’s ongoing quest to understand the vastness of space, looking at the people and technologies involved in seeing farther than ever before – from the Astronomer Royal, Edmond Halley, to Captain James Cook and Edwin Hubble and through to the possibilities offered by the Cosmic Microwave Background Explorer. It’s accompanied by a series of talks, observing events – including this month’s Daytime Sky Watch sessions – and a planetarium show. Runs until 2nd September. Admission is free. For more information, see www.rmg.co.uk. A series of four marine timekeepers which eventually solved the ‘problem’ of longitude – revolutionising sea travel by allowing mariners to accurately locate their position – are housed at the Royal Observatory in Greenwich. The three clocks and one watch were designed by John Harrison, a working class joiner from Lincolnshire who made it his life’s mission to design a device which would keep accurate time at sea. Calculating longitude – an east-west position on the earth – is relatively simple. Because time moves forward one hour for every 15 degrees one travels in an eastward direction (or back an hour for every 15 degrees one travels westward), it’s possible to calculate a position by simply knowing the local time at two different places on earth. The problem was that the pendulum clocks of the 1600s were affected by changes in temperature and humidity and couldn’t keep accurate time on board a ship meaning that while a mariner might know the local time, he could not get an accurate measurement of time elsewhere to compare it to. While mariners could use the ‘lunar distance method’ to measure longitude – this involved measuring the motion of the moon relative to the stars – it relied on clear skies and was not very accurate. So in 1714 the British Government announced it would award a prize of £20,000 to anyone who could come up with a solution to longitude which was accurate to within half a degree (or two minutes). Clockmaker John Harrison was among those who took up the challenge (his somewhat tragic story is told in great detail in Dava Sobel’s terrific 1995 book Longitude: The True Story of a Lone Genius Who Solved the Greatest Scientific Problem of His Time). His first effort, known simply as H1, was constructed between 1730 to 1735 and, using a counterbalanced spring mechanism making it independent of gravity, was successfully tested on a voyage to Lisbon. But Harrison wasn’t satisfied and began work on H2 in 1737 before, after realising its shortcomings three years later, starting work on another clock, H3, in 1740. He worked on this for 19 years but it failed to meet the accuracy requirements of the Board of Longitude which was charged with looking overseeing the awarding of the £20,000. In 1753, Harrison asked a London watchmaker John Jefferys to create a watch to his designs, initially for his own personal use. 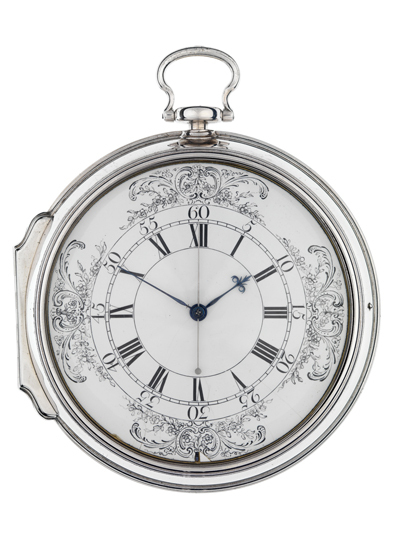 But he soon discovered that with a few improvements, H4 – which looks like a large pocketwatch (see picture), could be the answer he was looking for. In 1761 and 1764, Harrison’s son William took the watch on two voyages to the West Indies, yet, despite the fact that its accuracy was well within the requirements of the Board of Longitude, the board initially refused to pay up. After much wrangling Harrison was finally paid £10,000 but told that to obtain the other half of the money, he would have to create at least two more copies of H4. Harrison went on to make one copy – H5 – while watchmaker Larcum Kendall, made another, K1, at the direction of the Longitude Board. When Harrison suggested that Kendall’s K1 could be considered the second of the two copies he was required to make, the board rejected the idea. Harrison then appealed directly to the king, George III, and finally to parliament before he was eventually awarded a further £8,750 in 1773. Kendall’s watch, meanwhile, was taken by Captain James Cook on a three year voyage as far afield as Antarctica. It was a test which proved beyond all doubt the accuracy of the timekeepers. 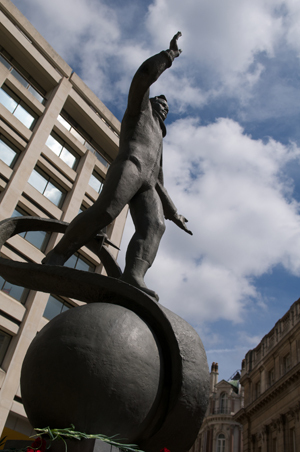 A year after Cook’s return in 1775, John Harrison died in his house in Red Lion Square on 24th March, 1776. It is not known whether he knew of the success of the timekeeper taken on Cook’s voyage. Harrison’s four timekeepers are now housed at the Royal Observatory where the intriguing story of their creation is told. The “city of dreaming spires”, Oxford is a delight for the student of historic architecture, boasting an impressive array of medieval and later, classically-inspired, buildings. Only about an hour from London by train (leave from Paddington Station), Oxford was established as a town in the 9th century and rose to prominence during the medieval period as the location of a prestigious university, an institution which remains synonymous with the city today. Major development followed the Norman Conquest the castle was constructed, the remains of which were included in a £40 million redevelopment several years ago of the area in which it stands and which now houses the Oxford Castle Unlocked exhibition which looks at some of the key figures in the castle’s past (you can also climb St George’s Tower for some great views over the city). The university first appears in the 1100s and gradually expanded over the ensuing centuries gradually evolved to encompass the many medieval colleges which can still be seen there today. Something of a hotbed of activity during the Reformation, Oxford saw the burning of three bishops – Hugh Latimer, Nicholas Ridley and Archbishop of Canterbury Thomas Cranmer at a site marked by a memorial in Magdalen Street. Constructed in the 1840s, it was designed by Sir George Gilbert Scott who drew inspiration from the Eleanor Crosses King Edward I had erected in honor of his deceased wife, Eleanor of Castile, following her death in 1290. 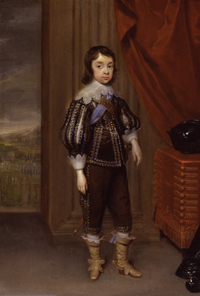 Oxford was also the site of the headquarters of King Charles I during the English Civil War after the king was forced to leave London (the town eventually yielded to parliamentarian forces after a siege in 1646) and was later home to the court of King Charles II after he fled London during the Great Plague of 1665-66. Canals arrived in the late 18th century and the railways followed. Industrialisation came – in particular, in the 20th century, in the form of a large car manufacturing plant at the suburb of Cowley – and with it an increasingly cosmopolitan population. But at its heart Oxford remains a student city and it’s the students that continue to provide the lively atmosphere in the city centre. Look for Carfax Tower to get your bearings – formerly the tower of a 14th century church, this lies at the heart of the town and can be climbed for some great views over the surrounding streets. Some of the colleges are also open to the public (see noticeboards outside the colleges for times) – particularly worth visiting is Christ Church which dates from 1524 and, founded by Cardinal Wolsey, was initially known as Cardinal’s College. It features the Tom Tower, home of the bell Great Tom, which was designed by former student Sir Christopher Wren. The college, which is unique in that the college chapel is also a cathedral, is also home to the Christ Church Picture Gallery. Other colleges of note include the beautiful Magdalen (pronounced Maudlin, it was founded in 1458 – alumni have included writers John Betjeman, CS Lewis and Oscar Wilde), All Souls (founded in 1438 with King Henry VI its co-founder), and Merton College (the oldest of Oxford’s colleges, it was founded in 1264 and is home to Mob Quadrangle, the oldest quadrangle in the university). Other university buildings which are a must include the Radcliffe Camera – now the reading room of the Bodleian Library, this Baroque rotunda dates from 1748 and was built as a memorial to 18th century physician Dr John Radcliffe, the Sheldonian Theatre – another of Wren’s designs, it was built in the 1660s as the university’s principal assembly room, and St Mary the Virgin Church – the official church of the university, the present building partly dates from the 13th century and boasts terrific views from the tower. Make sure you also take the time to wander through the water meadows along the River Cherwell (there are also punt rides) and walk along the River Thames, known as the Isis as it passes through Oxford. Keep an eye out also for the ‘Bridge of Sighs’, similar in design to the Venetian landmark, it spans New College Lane and joins two sections of Hertford College. Other sites in Oxford include the Ashmolean Museum of Art and Archaeology. Considered of the UK’s best, the original Ashmolean was the first purpose built museum in England, opening in 1683. It now houses treasures include art and antiquities with the late ninth century Alfred Jewel, said to have been made for King Alfred the Great, among its prized objects. Other museums include the Pitt Rivers Museum which cares for the university’s collection of anthropology and world archaeology and includes exhibits brought back to Britain by explorer Captain James Cook. Take the time also to wander through the covered market off high street which has some interesting shops selling everything from clothes to fresh food and flowers and gifts. Fans of Inspector Morse, meanwhile, may also enjoy seeing some of the sites of particular significance in the TV series – there’s an interactive online map here. 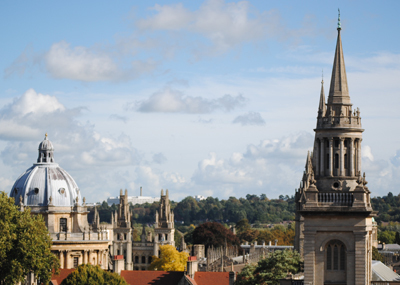 A vibrant city redolent with history, Oxford remains of England’s jewels. Perfect as a day-trip destination from London.